I met up with some family this weekend, and as so often happens, we ended up playing board games. My dad brought out a vintage find, trying to get me to guess what it was until eventually I gave up. “Formula One!” he said, proudly before revealing the box. I was very excited, only vaguely being aware that motorsport board games existed, and wondering how on earth you can squeeze something so complex as F1 into a simple roll-of-the-dice. Yearly instalments of games can be a tricky thing to deal with. For two decades EA Sports have managed to ride on the success of their various sports franchises churning out a yearly update but, using FIFA as a good example, whilst there have been improvements over time there’s always criticism of such a business model for consumers. It brings in big money for developers but is it really worthwhile buying, essentially, the same product again a year later? This was my primary concern coming into F1 2013 this year, as build up to the game didn’t really give me a huge amount of optimism for how much new content there would be. Shapes are nifty things. Squares, triangles, those ones with different angles and stuff. They're all lovely in their own magnificent and mathematic ways but it turns out that combining hundreds of shapes can create something pretty rewarding too. Over the years I've dabbled in the creation of the Forza Motorsport livery editor as part of the Xbox series of games, a series that has most definitely held it's own against its Gran Turismo competitor on various Playstation consoles. Both have their advantages and disadvantages but one thing I've always loved about Forza is the livery editor. Ever since Codemasters revitalised the F1 gaming scene with their officially sanctioned series back in 2009, Christine and I have been largely excluded from participation. We did manage to get our hands on F1 2009 for the iPhone, but since then we've found ourselves largely bereft of big screen distraction, with Codemasters limiting their releases to PC, PlayStation and Xbox platforms. Things are looking up this year however as Feral Interactive have just brought F1 2012 to the Mac! Formula 1 games have always been a fairly serious affair with only a few games over the years leaning towards the 'arcade' spectrum rather than the simulation-heavy affairs we've become so used to. Of course, this is by no means a bad thing but racing games heavy on being a sim can be quite tough for the wider audience to get into. This is why F1 Race Stars, personally, is one of the biggest and best, on the Xbox, PlayStation or PC. Codemasters are back with their latest installment of Formula One. Here are my thoughts on this year’s game after playing with it for a few days. First up it's worth noting that this is an improvement on last year’s game. I suppose the key question is if it's improved enough to warrant taking another £40 from you. That's a tough one to answer. 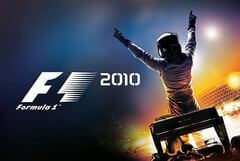 Months of hype and videos and news have finally lead to F1 2011 gracing our consoles, but have Codemasters picked up the pieces of F1 2010 and improved to make it an even better F1 experience for the gaming population? If you've never been any good at racing games (like me), but want to participate in the motorsport gaming world, then it's possible that a management and strategy simulation may be more your style. I've previously found that racing management games are either too simple, or far too complex, but Grand Prix Story has arrived at a good balance. David Coulthard has set himself up for quite the challenge this coming Monday. Behind the wheel of a Mercedes-Benz AMG SLS Gullwing, the former-F1 driver will take to the track at a "secret location" somewhere in Europe, in the hopes of beating some unique opponents. Last week, a shiny new iPad 2 arrived at Sidepodcast Headquarters. Of course, it chose to present itself the minute that I stepped away for a mini-break, and I had to wait days and days to get back and try it out. However, once I did, I was hooked. It's finally here. After 2 years or so of development and a seemingly forever amount of waiting involved for this, it's finally here for us all to enjoy, love, get frustrated at and blame despite our lack of ability really being to blame, and just general stare in awe at the awesomeness that is the Formula 1 2010 videogame. Whether it be on the 22nd Sept in the US, 23rd in Europe or 24th in the UK and elsewhere, many of us will be scrambling open that devilishly claustrophobic cellophane wrapping around their copy of F1 2010 or furiously clicking the download button to get their copy from Steam or other online distribution services. Yes, folks, F1 2010 is here. This year's Electronic Entertainment Expo saw the global gaming industry take some huge steps forward, from the gesture control‎led Microsoft Kinect, to the glasses-free Nintendo 3DS. 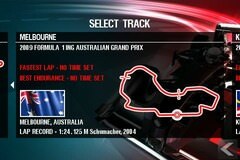 Of more interest to F1 fans was a live, in-depth demo, of Formula 1 2010 from Chief Game Designer, Stephen Hood. Racing has always been a massive gaming genre and F1 has not escaped from the virtual world of computers and consoles. F1 has been recreated on the screen for over thirty years, some destined for greatness, some destined for the nephew's stocking next Christmas. This post will hopefully separate the rotten from the good. Less than a month ago, the first F1 game for a many a year arrived for the Wii console, and Lukeh provided us with a fantastic review. So good was it, that we went out and purchased the game solely on the man's advice. 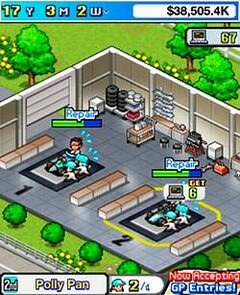 Lukeh returns today to offer similar insight into a mobile version of F1 2009 for the iPhone and iPod Touch.